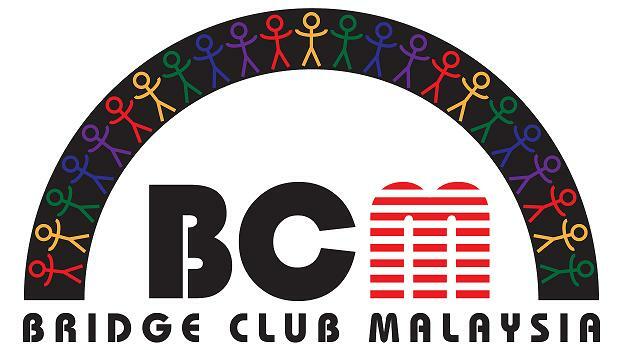 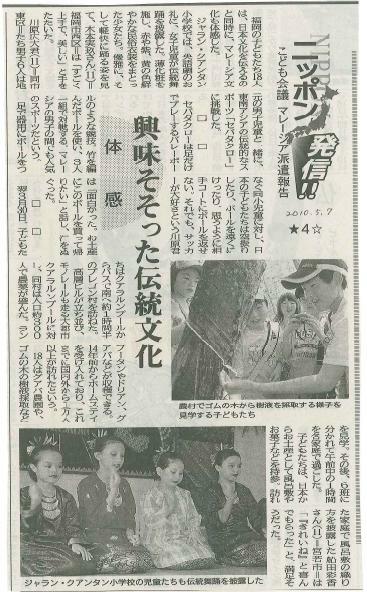 Just received this from Ms Kanae from the APCC office today! 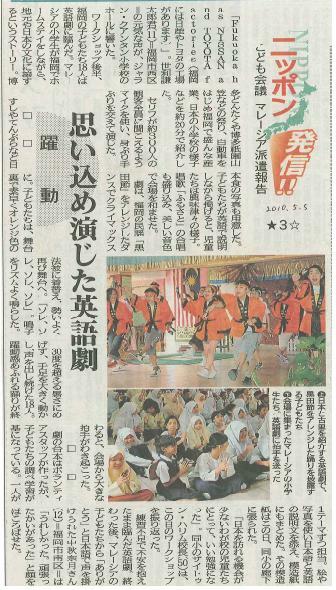 She attached a series of articles which Nomura-san, the journalist who came with the study tour delegates to cover the event in March, had written in NishiNippon. 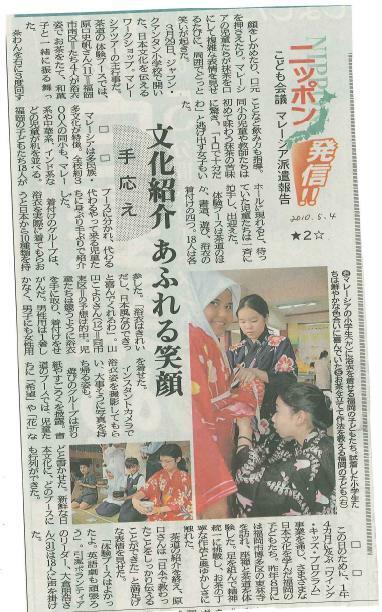 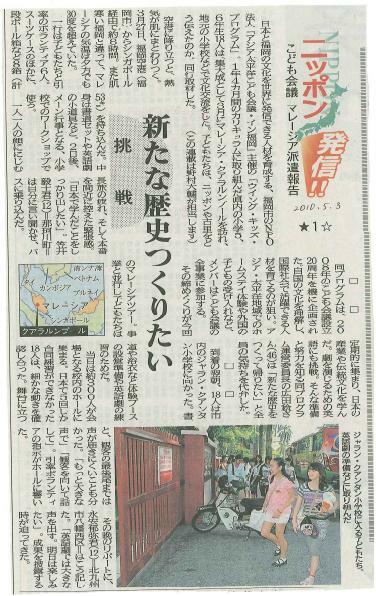 NishinNippon circulates the highest number of newspaper in Fukuoka according to Ms Kanae and we are happy that the 1st Wing Kids Study Tour in Malaysia program was featured in it.